We have teamed up with our local Gamestop located at Red Mountain Plaza in Apache Junction Arizona to give one lucky member of our community a Shulk Amiibo! To enter you must be a resident of the United States and be over 13 years of age. Just tell us why you want a Shulk Amiibo and our favorite post will be chosen on March 1st! That member will then receive a brand new Shulk Amiibo via USPS! Good luck and have fun! Re: Contest: Shulk Amiibo Giveaway! @Amufungal You're the first entrant! Good luck. Awesome sauce! I missed my chance to pre order Shulk so I hope that I'll win this giveaway! Would it be alright if I enter @Rukiafan? 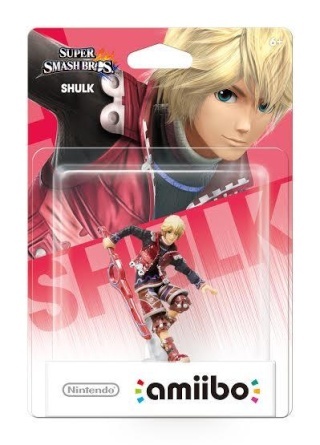 My brother in the United States would love to win a Shulk Amiibo! Because... I'M REALLY FEELING IT! I want one because it's Reyn Time! @Whopper744 wrote: Because... I'M REALLY FEELING IT! Welcome to the community lol. I'm in the same boat as you. I would love to win a Shulk amiibo. Welcome to WiiWareWave @Jonney! @Jonney Welcome to WiiWareWave and good luck! Because my body is ready. Shulk would look striking paired up against Link, and his outfit is awesome! Xenoblade Chronicles 3D!!!!!!!!!! Good luck everyone! The winner will be decided in just one month now.